This year's Christmas Selling Exhibition opens on Saturday 1st December and runs until Saturday 22nd December. 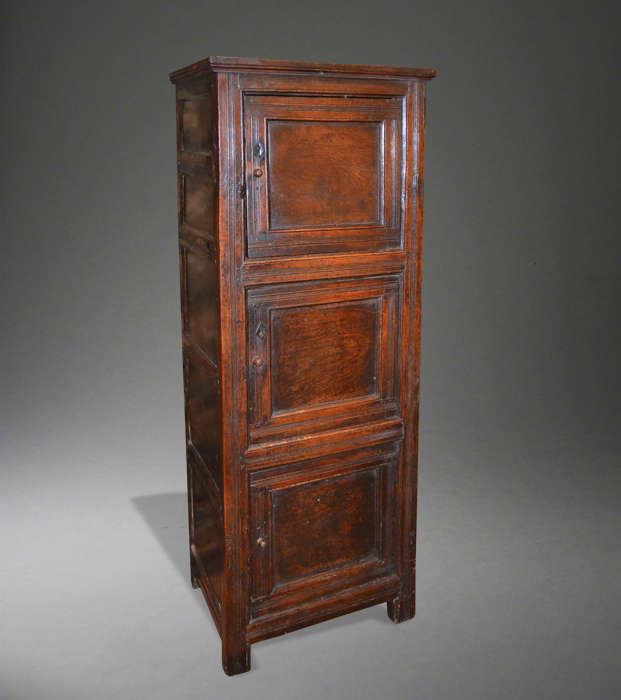 There are some interesting pieces including a very rare early 16th century oak armchair and an exceptionally narrow three panelled cupboard with superb colour and patination that was sold over ten years ago in the Sherwood Collection. (SOLD). 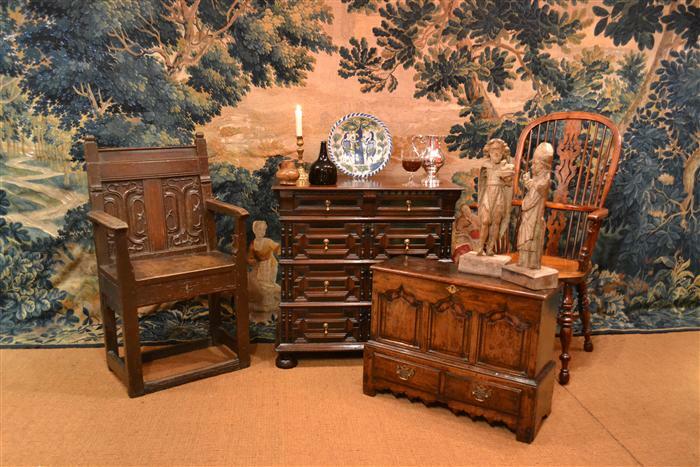 Other good examples of the type of stock that will be on display are the William and Mary cedar wood chest of drawers illustrated - it is small, well proportioned and with lovely colour (SOLD), a charming little Welsh coffor bach with superb arched fielded panels (SOLD), a Charles II walnut sidetable, a George II armchair in the same wood, a near pair of yew wood high back Windsor so-called "Best Chairs" (SOLD) and a tiny gateleg table with very fine turnings. Amongst the works of art are some interesting carvings including a rare pair of early 16th century carved saints (illustrated), probably English, and some good ceramics.